Located in the heart and historical center of Hanover, New Hampshire, this hip-roofed, Georgian Revival style home is an exacting replica of the William Wellington House constructed in 1779 in Waltham, Massachusetts. This 1982 recreation pays homage to the original with its delightful combination of the charm and sense of place found in an historic home but is equipped for modern living with the convenience and comfort that only the systems and technologies of modern construction can provide. 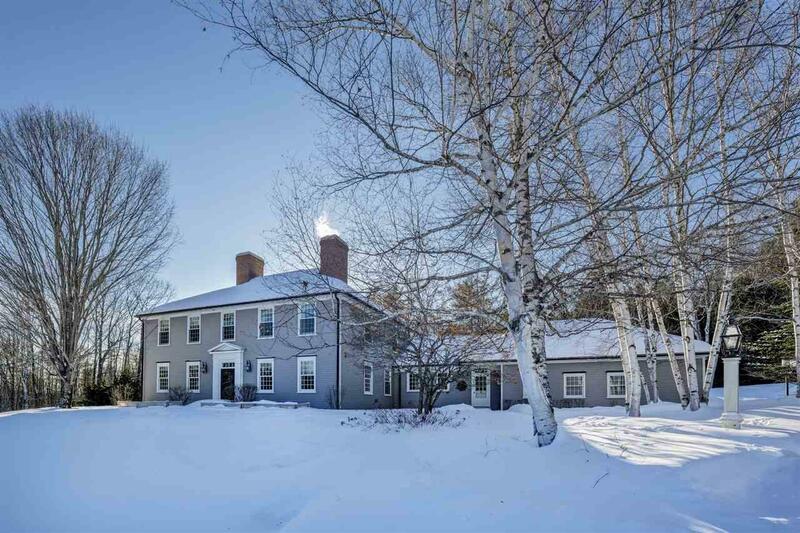 The interior of the house offers both formal and informal spaces for relaxing and entertaining; a recently updated kitchen and connected family room with a dramatic hearth and woodstove is at the heart of the house. Classically proportioned formal living and dining rooms, a large office, half bath, mudroom entry and laundry complete the first floor. Three bedrooms including a master suite with sitting room and recently renovated master bathroom grace the second floor and a fourth bedroom and bath can be found in the finished lower level. 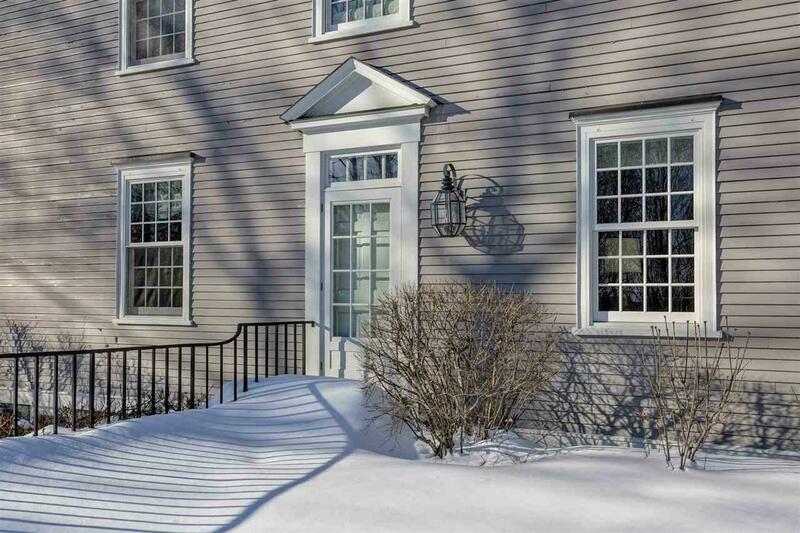 Eight fireplaces, hand hewn beams, random width oak floors and attention to detail throughout make this an exceptional Hanover Center property. 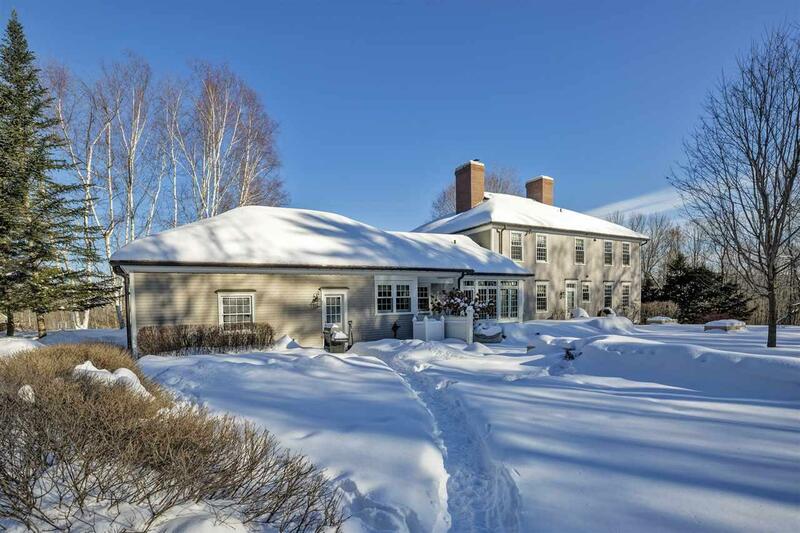 The house and multiple outbuildings are sited for privacy and set well back from the Hanover Center Green on over 71 acres including open meadows, northern hardwood forests, manicured lawns and gardens surrounding the house. 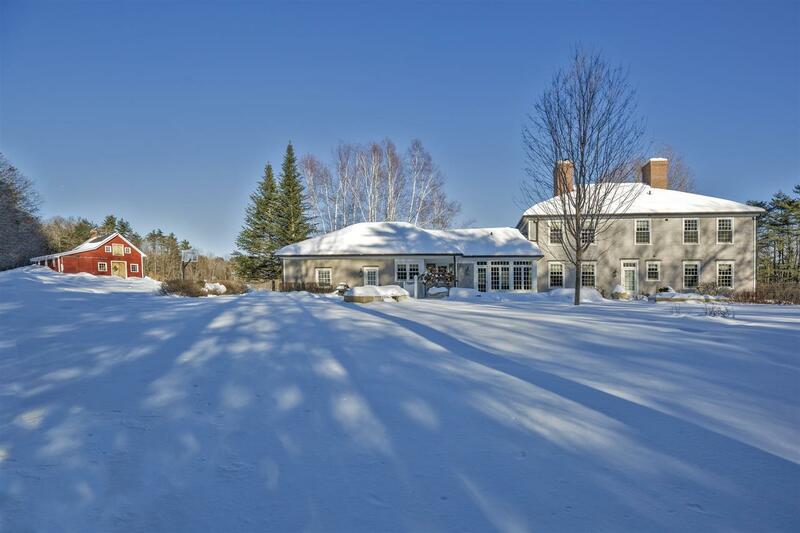 Offering country living yet conveniently located just a few minutes to downtown Hanover. Courtesy of Richard Higgerson of Four Seasons Sotheby's Int'l Realty.